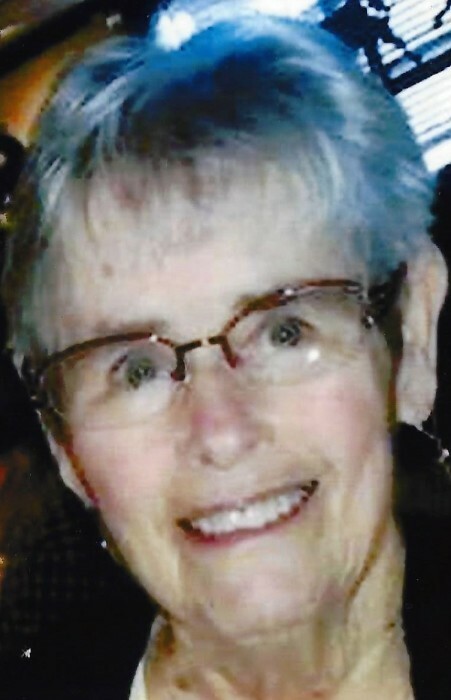 Ms. Patricia Bundy, age 75, of Lake City, FL, passed away on February 6, at Haven Hospice in Gainesville, FL. Ms. Bundy was a born in Lake City, FL, on August 25, 1943 to the late Jim Rowe and the late Lizzie Feagle Rowe. She was a lifelong resident of Columbia County and graduate of Columbia County High School. She retired from working with GE and with Columbia County School Board in their food service department. She enjoyed volunteering at Lake City Medical Center. She also enjoyed traveling with Senior’s United. They traveled all around the world but her favorite destination was Alaska. She also looked forward to her monthly lunch dates with “The Cousins”. She was a loving mother, grandmother, great-grandmother, sister, and friend and will be deeply missed. She is preceded in death by her husband of 41 years, both parents, and 7 siblings. Ms. Patricia is survived by her daughters, Cindy (Willie) Short of Lake Butler, FL and Sheila (Brian) Blackmore of Lake City, FL; her son, Mitchell (Priscilla) Bundy of Sarasota, FL; grandchildren and great-grandchildren, Ashkea (George) Dyal who have Raylan and Sawyer, Amber Short who has Harper Rogers, Natasha (Matthew) Temme, Amanda (Luis) Chavarria who have Jayce and Aaliyah, Latrelle (Cameron) Tolar and they have Layla and one on the way, and Brandon Hudson; her brother, Allen (Peggy) Rowe of Lake City, FL; numerous extended family members also survive. A Celebration of Patricia’s Life will be held on Sunday, February 10, at 2:00 PM at the Fort White Church of God with Reverend Stephanie Morgan officiating. The family will receive friends on Saturday, February 9, from 5:00 to 7:00 PM at the Archer Funeral Home Memorial Chapel in Lake Butler, FL. Her interment will be at Philippi Baptist Church Cemetery in Lake City, FL. Arrangements are under the care and direction of ARCHER FUNERAL HOME in LAKE BUTLER. 386-496-2008. In lieu of flowers, the family is asking for donations to be made to Haven Hospice in the memory of Ms. Patricia.